Running Press Adult, 9780762453047, 192pp. But in October 2011 Reid became a mother herself, and over the first year of her son's life the writer and media personality not only figured out a thing or two about parenting, but also learned how to navigate an entirely new lifestyle while still maintaining a sense of self. 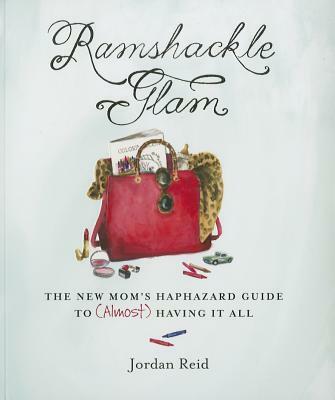 Reid's spot-on advice combined with her trademark intimacy, wit, and (often aching) honesty make Ramshackle Glam a must-read for any woman in search of a candid account of how to handle enormous life changes with humor, grace . . . and a little bit of glam. Reid has been called "a star of the post-expertise how-to landscape" by the New York Observer, and Ramshackle Glam (ramshackleglam.com) has been deemed a "survival guide for those who don't have a clue how to be domestic" by the Daily Beast. The blog has been featured in Time, Cosmopolitan, Women's Wear Daily, New York Magazine, Glamour, and many other publications. Reid is a consultant for numerous national brands and a lifestyle expert for online, print, and on-air media outlets, in addition to hosting her own online series, Jordan in the House.She currently lives in New York's Hudson Valley with her husband, their son, and two of Those Things That Wake Up Your Child.